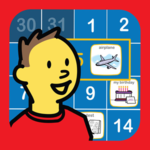 In honor of Autism Awareness Month, BridgingApps and Bee Visual are teaming up to give away Choiceworks (valued at $6.99) and Choiceworks Calendar (valued at $4.99). 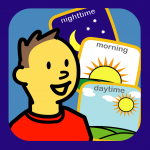 Visit our BridgingApps Page and comment your favorite app for autism on the pinned post at the top of the page. Winners will be announced April 18, 2019. Choiceworks Calendar is a handy picture-based learning tool that helps users learn what is happening day-to-day throughout each month. By presenting the abstract concept of time in a structured, visual format, the app helps useres organize their lives as well as understand sequence and time. Built by the same team that brought you the award winning Choiceworks App, the Choiceworks Calendar is the first app of its kind to provide a full-featured calendar designed with both the child and caregiver in mind.